Opel/Vauxhall is introducing a 160,000 km (100,000 miles) warranty on all its new cars to help boost declining sales. The General Motors Co. unit calls the offer a "lifetime warranty" and says it will include the powertrain, steering system, brake system and electrical equipment throughout the life of a vehicle until it reaches 160,000 km. Opel/Vauxhall CEO Nick Reilly said the warranty would be standard on all new models and was possible because of the reliability of the brand's vehicles. 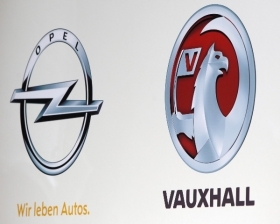 Opel/Vauxhall will cover all material costs up to 50,000 km, the carmaker said. From 50,000 km to 100,000 km the amount paid by Opel declines as the mileage on the car increases. From 100,000 km to 160,000 km, Opel will pay 40 percent of the costs, meaning the owner would have to shoulder the remaining 60 percent. The move is part of a wider effort by the unit to boost new-car sales, which were hit by uncertainty over its future after GM said in December 2008 that it would sell the money-losing division, then changed its mind. Opel/Vauxhall sales in Europe fell by 4.5 percent to 536,258 in the first six months in a total market up just over half a percent, according to the European automakers association ACEA. In the key German market, Opel sales plunged 40 percent to 131,364 through July. Sales were hit by controversy over the carmaker's bid to win billions of euros in loan guarantees from the German government toward a restructuring to bring the division back into profit by 2012. After Berlin turned down Opel's request, GM decided to fund the 3.3 billion-euro ($4.3 billion) restructuring from its own resources.